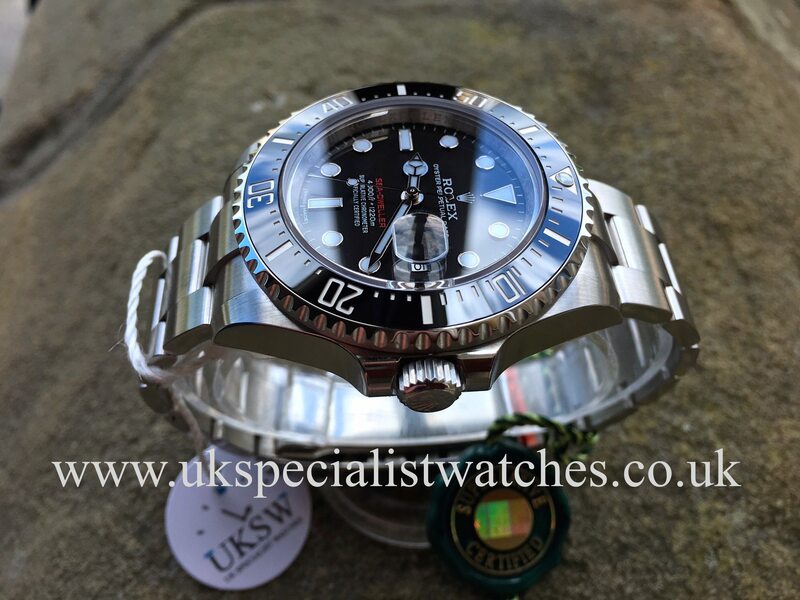 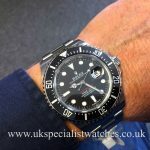 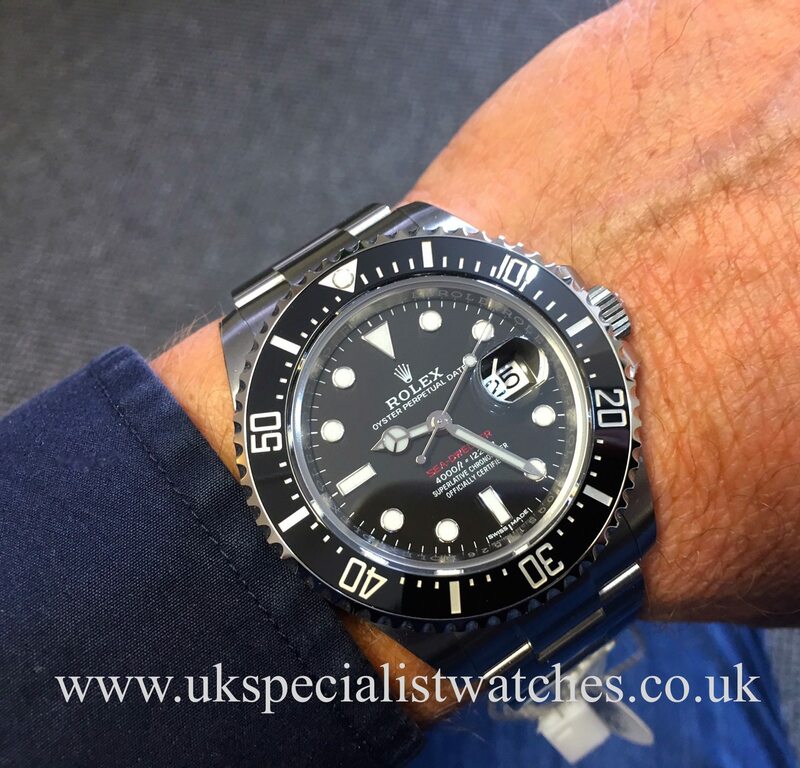 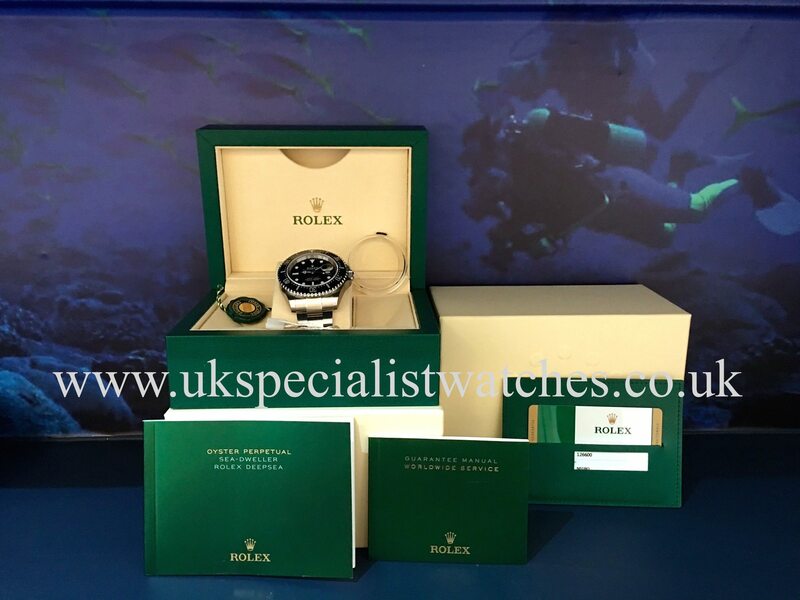 Rolex Sea-Dweller 126600 with the new enlarged 43mm case. 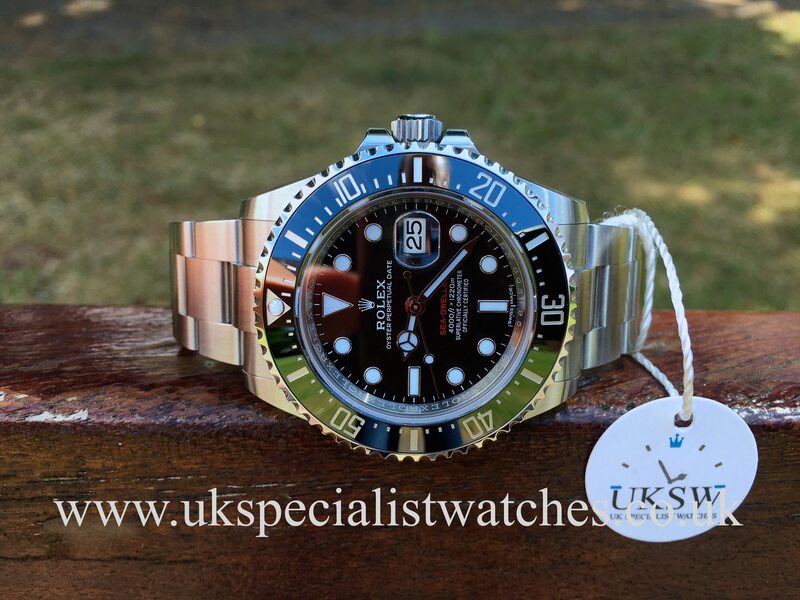 Matte Black dial with Chroma-light blue-glow hands and hour markers, scratch proof ceramic bezel. Helium gas escape valve. 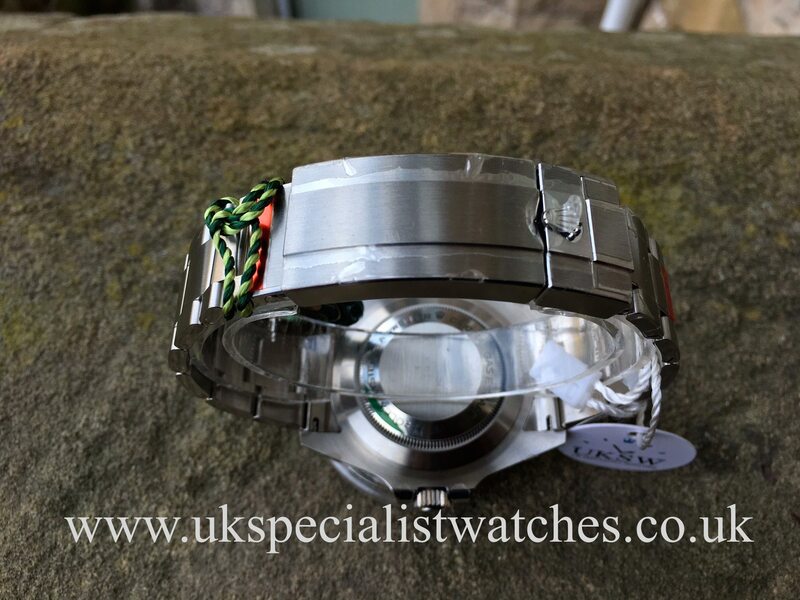 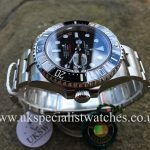 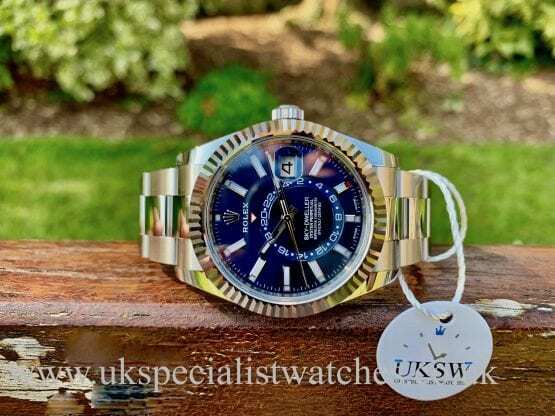 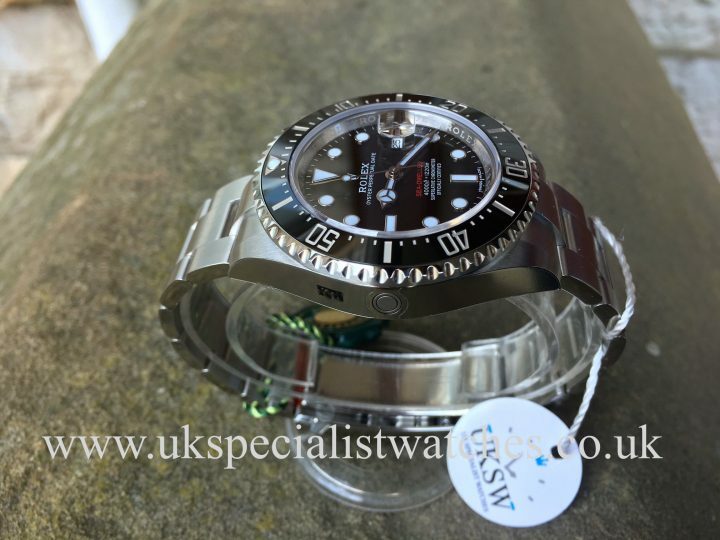 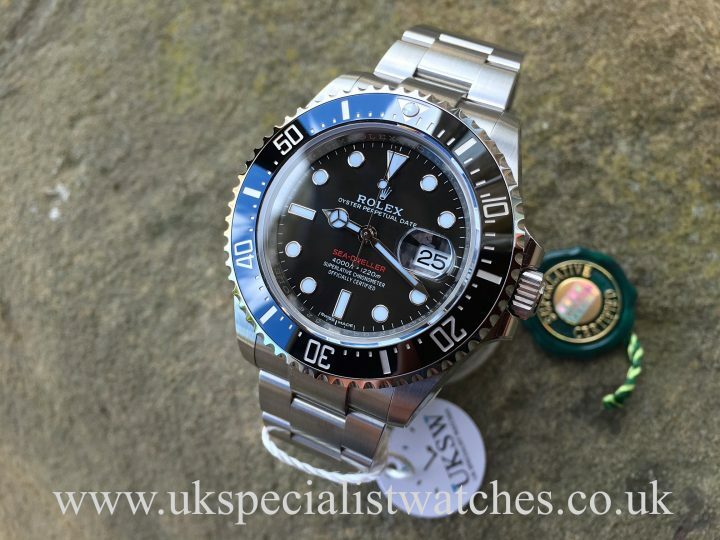 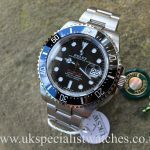 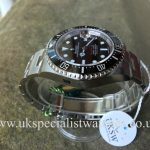 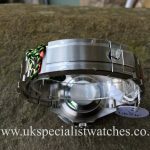 This brand new example now has the latest tougher Oyster lock bracelet with the new glide-lock clasp for easier adjustment, water resistant of up to 4000ft = 1220mts. 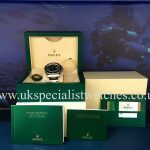 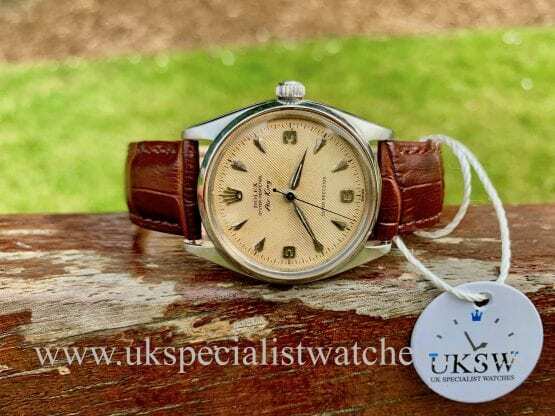 Our totally UNUSED example comes complete with all its original Rolex boxes, stamped warranty card, green leather wallet, booklets. 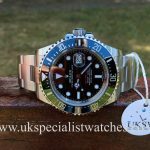 Supplied new 25th SEPTEMBER 2017.